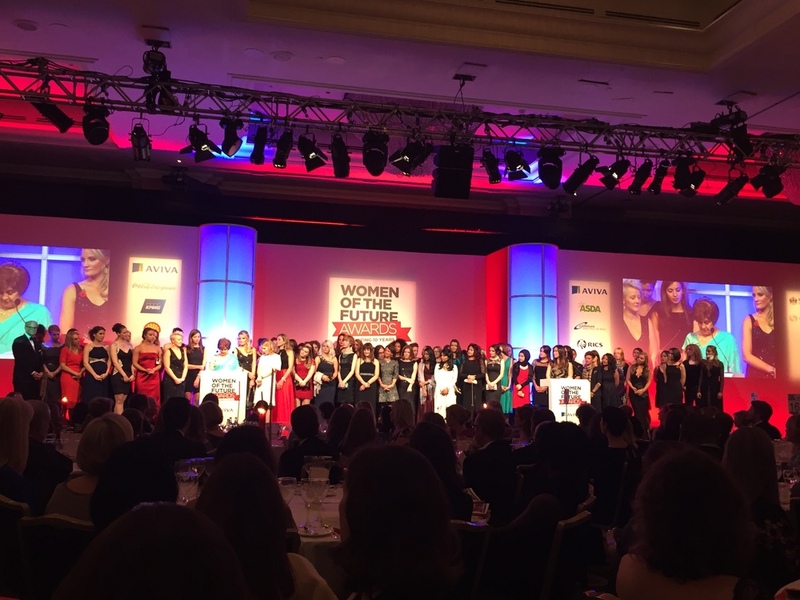 I had the honour and privilege to be part of the 2015 Women of the Future Awards. Not only was it celebrating its 10th anniversary but it was the first year of having the Sport category, of which I was a part of. A big portion of my team dressed to the nines to come and support this great honour and amazing event about empowering, inspiring, and leading as women of the future. The team members who couldn't make it were supporting me with kind words sent electronically from all over the globe. The Awards Evening emphasised the importance of Kindness, Collaboration and Support. My team has exemplified all three in their efforts in growing this grass roots project of which I am at the center of- Team Eden. I can't begin to explain the impact of my team's support and I consider myself lucky to be surrounded by such accomplished and kind people. There were speakers from all over the world, including national and international royalty. There were over 600 guests and international delegates from over 30 countries. I would like to take this opportunity to thank Pinky Lilani for creating this great platform which connects driven and ambitious women. I only hope to inspire and assist others just as Pinky has done for me and many women. In my previous post about these awards I wrote about my mentor, former trainer, and friend Elena Baltacha ("Bally"), a former British No. 1 female tennis player. While Bally sadly passed last year due to liver cancer, I discussed how she embodied all the attributes of a Woman of the Future as she was giving, kind, motivating, and all about assisting young female athletes like myself to reach their dreams. Her legacy is EBAT where young and inspiring women of the future are being nurtured every day. Bally has not been the only motivating woman in my life. I am honoured to know and be impacted by many women, including the 4 female members of my team Mariana, Jennifer, Noelle and Marilena. The one I would like to discuss now is my mother, Elena Silva. Since I came into this earth, and via my mother, she has always been by my side ensuring I have all the tools to succeed in life. Whether it be cooking nutritious food to give me energy on the court; words of encouragement during my international tournaments; or comforting maternal advice at the perfect moment, I can always count on my mum to selflessly be there for me, encouraging me to be the best me possible. I love you mum and thank you for showing me the attributes of the type of Woman of the Future I want to be.